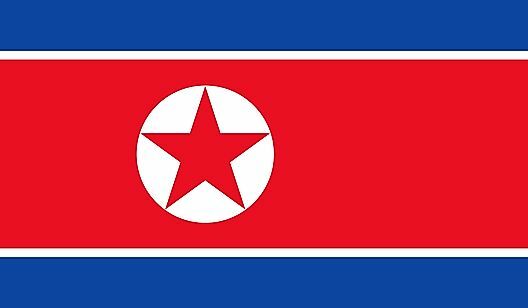 The flag of North Korea was officially adopted on September 9, 1948. 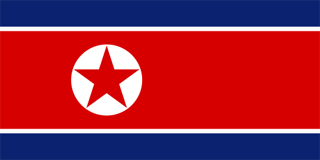 The two blue stripes signify sovereignty, peace and friendship, the white stripes signify purity, red represents the Communist revolution and the red star is the recognized symbol of Communism. 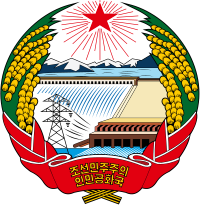 North Korea's national emblem was adopted in 1948, and consists of the Sup'ung Dam under Baekdu Mountain with rice making up the border.